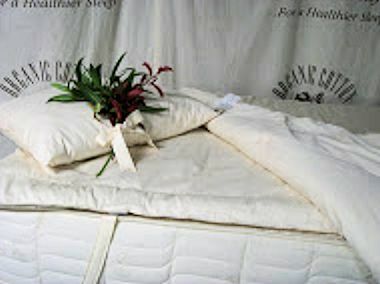 Vivetique makes our organic and natural mattresses. 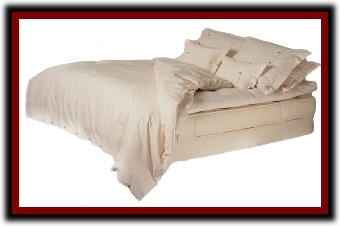 They specialize in the construction of organic mattresses, natural comforters, pillows and many other items that go into creating your organic natural bed or sleep system. These extraordinary natural organic mattresses/sleep systems are crafted using the cleanest and purest natural fibers to ensure your sleeping comfort. We believe that once you have slept the naturally rejuvenating sleep of a Vivetique sleep system, you will want no other. Selecting the right sleep system is so important to your ability to enjoy the best rest possible. a great alternative for those with pressure point problems or with concerns of Electro Magnetic Fields. All our crib mattresses are a standard crib size with a firm innerspring coil count of 280. 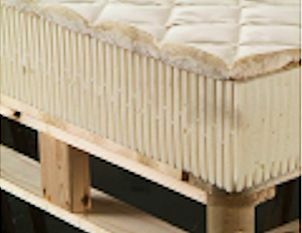 The innerspring mattress can be made in standard cotton, organic cotton (requires a doctor's prescription), or organic cotton and Pure Grow Wool TM (ticking available tufted or quilted). We hand tuft our crib mattresses with a cotton cord so there are no small wool disks that can be swallowed by the baby. 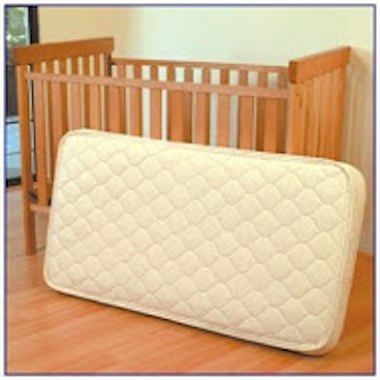 The non-innerspring crib mattress is also available in regular latex or 100% pure natural latex covered with a quilted natural cotton cover.